You’re up, you’re out, the sun is shining and you’re ready to mow. At least you will be after fifteen minutes of greasing. For groundskeepers the grease gun is a necessary evil. 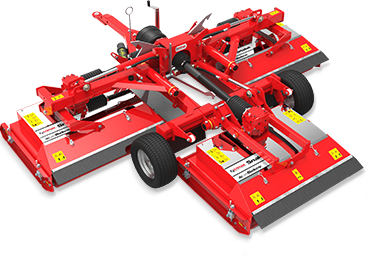 Without frequent lubrication, a mowers moving parts will inevitably stiffen up, components will break, and your hard-working machine will eventually grind to a halt. It’s unavoidable. Or is it? Welcome to the Pegasus S4: the newest, exceptionally low-maintenance trailed rotary. Trimax have spent the last 12 months in R&D working out how to relieve the tedium of greasing for their customers. By talking to suppliers, exploring emerging technologies and testing out innovative materials they’ve managed to cut the number of grease points by 15%. That’s a 35% saving in maintenance costs and about 15 minutes daily maintenance you’ll no longer have to do. They reckon the new Pegasus S4 will save you around $1200 a year – and a whole lot of backache too. It also comes with Trimax SteadFAST Sealed Spindles which need no maintenance at all. Zero. Zilch. Zip. And they’ve accepted no compromises on durability; all these parts are more efficient, durable and reliable than ever. It’s all part of the Trimax partnership and commitment to surpassed productivity and efficiency. The development of the Pegasus S4 is a great example of how they push technologies through their entire product range. Keith Mabey one of the Pegasus S4 designers describes Trimax’s robust innovation process: “We’re listening to customers all the time to learn about their likes and frustrations. Before incorporating any new features into a product line, we test them rigorously in real-life field trials. So by the time any new design gets to market it’s already fully proven”. On longer grass, the cut finish is unparalleled. 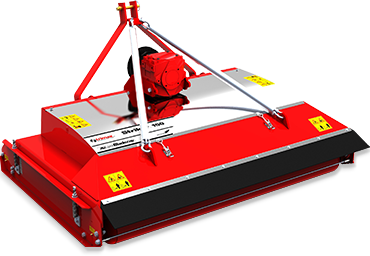 Trimax has focused exclusively on mower innovation for 35 years. They know customers want high performance and low maintenance. They put a 3-year warranty where their mouth is. That’s three years’ complete confidence in the Pegasus S4 and a lifetime of excellent, responsive customer care too. They take pride that no other competitor can say that with confidence. Try the S4. See for yourself how its spindles work perfectly without grease. See how they’ve done away with many of the grease points. It might not look much different from its predecessors on the outside, but don’t be deceived. Inside the S4 there’s a quantum leap in engineering and performance. It’ll give you rock-solid reliability, strength, controllability and smiles. It’ll do everything you need it to do, day after day. In return, it asks for a little grease and TLC, but 15% per cent less than before. Do you have a dealer in Southern California that could quote me a price on a Pegasus 20 GL?